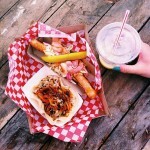 With warm weather comes the highly anticipated procession of food on wheels: Montreal food trucks. You can either find them on the streets of Montreal, or you can find them congregated at the Olympic Stadium for First Fridays. You can spot them at various events and festivals too (Montreal summers are chock-full of festivals)! With so many different ones to choose from, it can be overwhelming when you’re hungry (or even scarier when you’re hangry). What should you eat? Decisions decisions… Well, we’ve made it a little simpler for you by choosing our favourite food trucks this year. 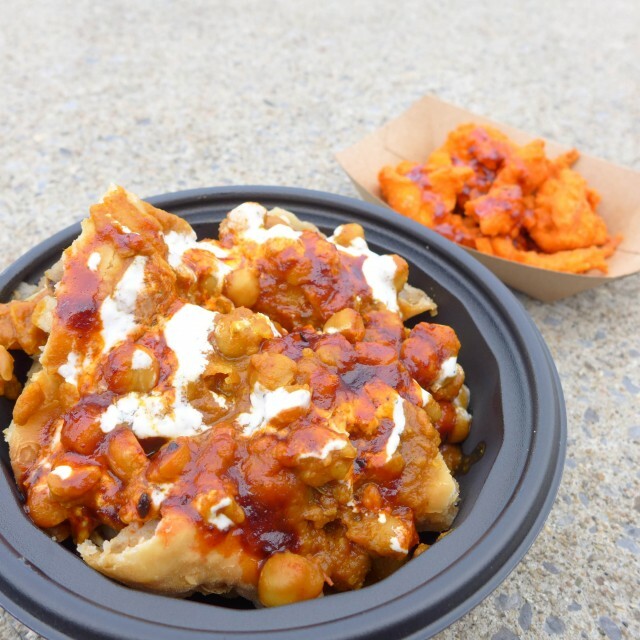 The samosa poutine with a side of chicken pakora (Indian popcorn chicken) is a must order at Damon Food Truck. The poutine comes with three smashed samosas filled with diced potatoes that are boldly spiced with cumin, coriander, and fennel seeds. It is coated in a chickpea curry drizzled with yoghurt sauce and sweet tamarind chutney. With all these layers of flavours, they are simply addictive to eat. The chicken pakora is spiced with red chili powder and turmeric, then coated in chickpea flour before deep frying. Here is a tip, if you don’t want to carry two items, just top the popcorn chicken over the samosa poutine for a more enjoyable eating experience. Ever imagine eating pho with your hands? Now it is possible thanks to Chez Tomio. 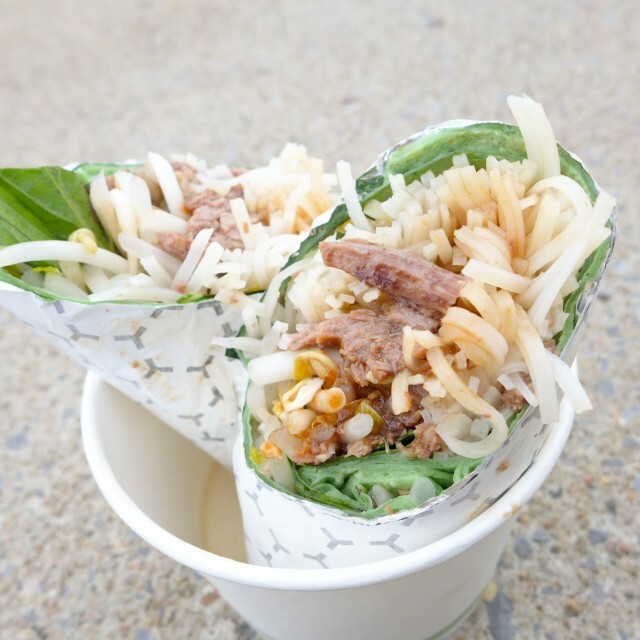 The pho burrito has everything you would find in a good bowl of pho (rice noodles, mint, Thai basil, bean sprouts, beef brisket, hoisin, sriracha, beef broth) wrapped tightly in a spinach tortilla. We predict this will be the next food trend! Most food trucks at least try to make their food easy to eat. Not Pas d’cochon dans mon salon! When its pulled pork so good you’re drawing lines around the block, that’s not always possible. 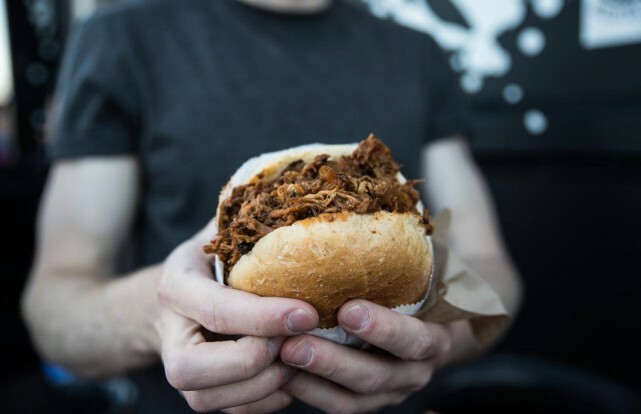 Honestly, that’s perfect, because smoky, sweet pulled pork with creamy and slightly acidic slaw on a bun was never meant to be anything but mouthwateringly messy and delicious. 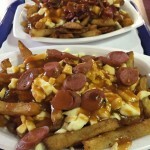 French Quebec’s staples have long been the corner casse-croute with its hot dogs, hamburgers, and poutine. Europea’s Jerry Ferrer has upped the game with its giant hot dogs and sourcrout, its truffle sauce poutine, and its chunky lobster rolls. Each is better than the last and delicious as can be. 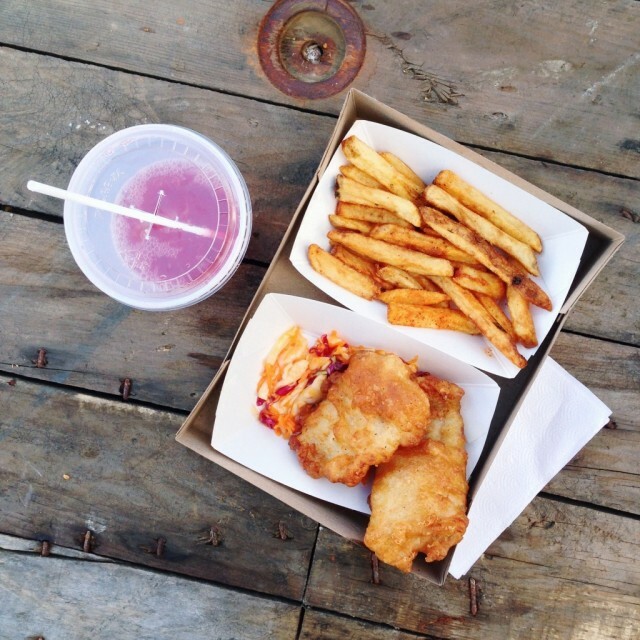 Everyone’s favourite new local obsession is now available at in a food truck! 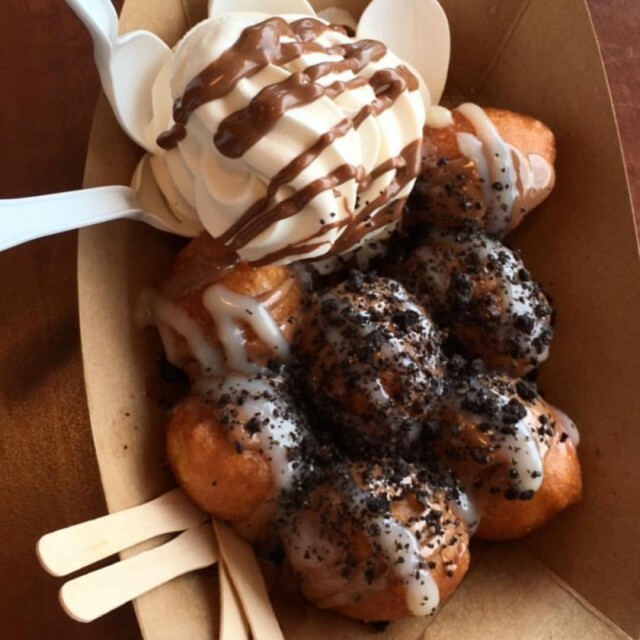 It’s hard to resist Mr. Puffs’ delicious loukoumades (fried dough balls). Get them natural or drenched in your choice of glazes such as caramel, chocolate, strawberry, etc. They also serve hot and cold coffees including refreshing frappes (Greek iced coffee), which are a perfect companion to their desserts. We highly recommend their Mount Olympus: loukoumades coated with cinnamon and honey with scoop of soft serve ice cream! 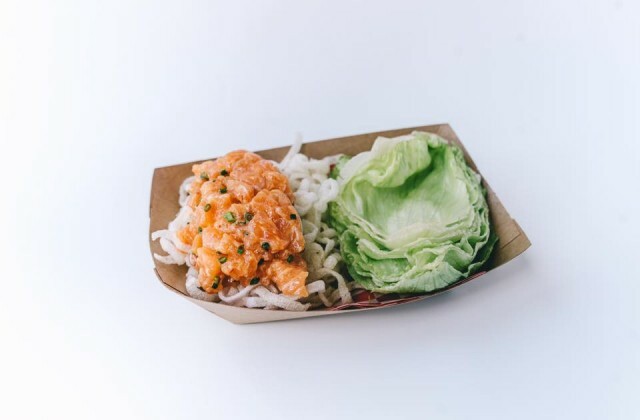 Whether your craving surf or turf, Lucille’s is the perfect food truck for you. If you’ve been to one of their two restaurant locations, then you know Lucille’s serves up great quality and very satisfying eats. 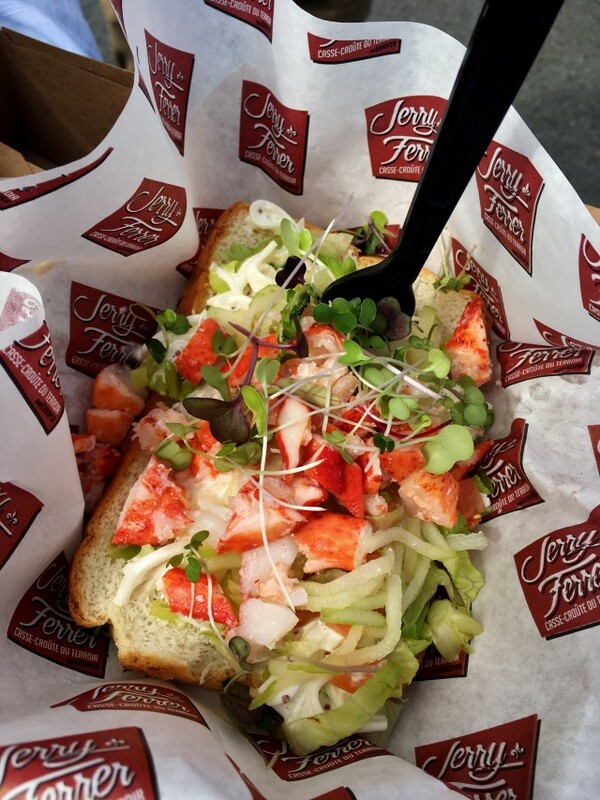 Their lobster rolls are simply delicious (and are packed with lobster – they definitely don’t skimp out). If lobster isn’t your thing (we will not pass judgment), there are other tasty menu items for you such as fish tacos, pulled pork, and pogos. Jerry Ferrer and Europea have come together to bring a high-end dining experience to the streets of Montreal! Their food truck’s menu changes often which gives you the perfect excuse to keep going back for more. They’re serving upgraded versions of your favourite comfort foods like a classic poutine with the usual French fries and curd cheese, but a cream of mushroom sauce replaces traditional gravy, and don’t forget a generous piece of foie gras. Another Europea food truck classic is their lobster roll in a garlic bun topped with a celery remoulade, perfect on a hot summer day! Their sweet potato fries with a truffle and porcini mayo are to die for, and their juicy pulled pork sandwich is a must. 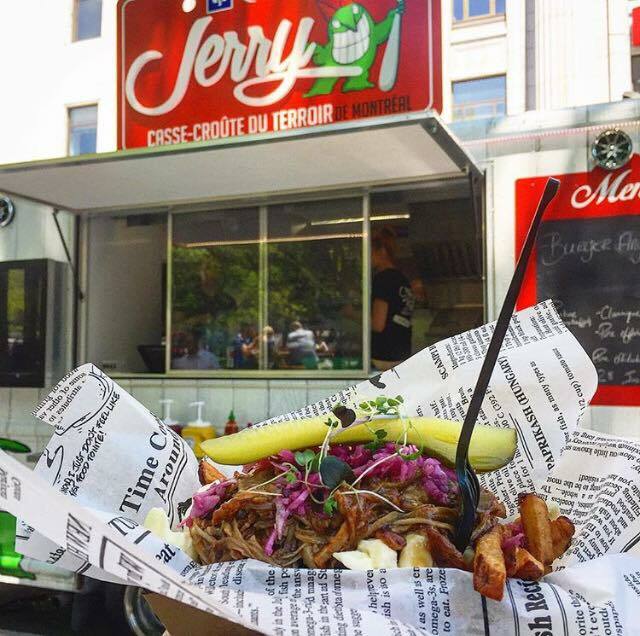 It comes as no surprise that one of Montreal’s best restaurants has one of the best food trucks roaming the streets. Fish & chips lovers rejoice! Le Quai Roulant is the food truck of your dreams. Their golden fish and chips are light and exceptionally crunchy. The crab cakes are another fan favourite. Love popcorn shrimp? 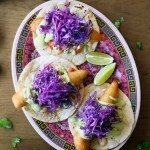 They have popcorn shrimp tacos to fuel your fiesta cravings! Tired of the lobster roll? They make a shrimp roll that is sure to make your mouth water. Duck is not always enjoyed by all. It’s a gamey meat that most people are too squeamish to try. Well, their loss! More duck for us!! Duck Truck is exactly what you think it is. A food truck dedicated to the love of duck. 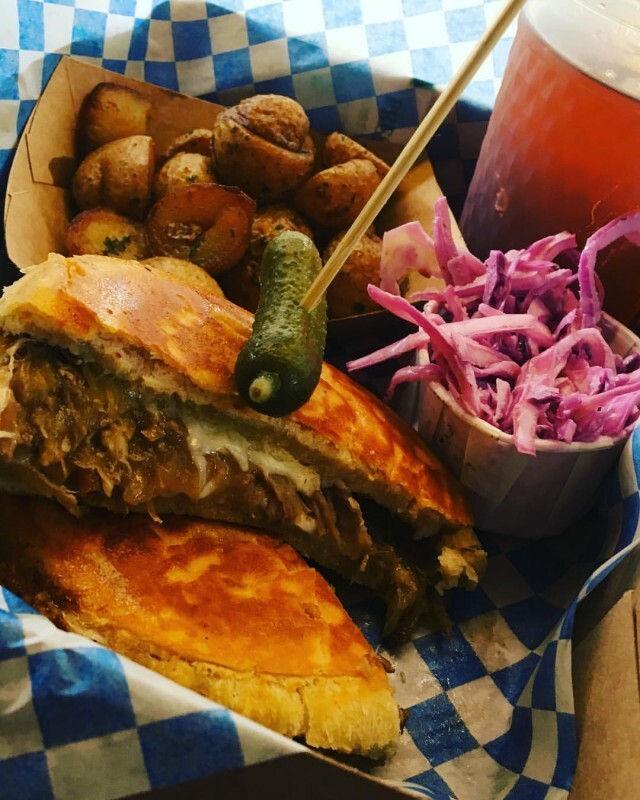 Le Vilain, their duck grilled cheese, is an insane grilled cheese sandwich with porto braised duck, confit onions, and strong cheddar cheese. Their dishes are cleverly named and as delicious as they sound, like the Quack & Cheese, the Hot-Duck, the CanBurger, and the EmpanaDuck, to name a few. Au Pied de Cochon has been wowing patrons for years with Martin Picard’s adventurous creations. Fois Gras is prevalent on the menu, as is any weird ingredient you can think of. So it’s no surprise that we get a special tingling of excitement when we see the Camion PDC roaming the streets. 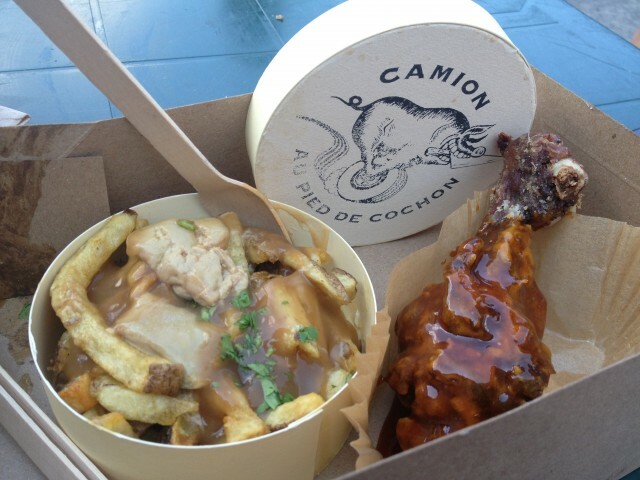 Try their foie gras poutine, their duck confit drumsticks, or a brioche sandwich with boar meat. The menu changes every year but every year it’s decadent and indulgent. On the hot summer Montreal days when we try to stay cool and fresh, there is no better way than by eating a solid, fueling salad. But not just ANY salad will do it. You need the mother salad, the salad of all salads. MANDY’S. 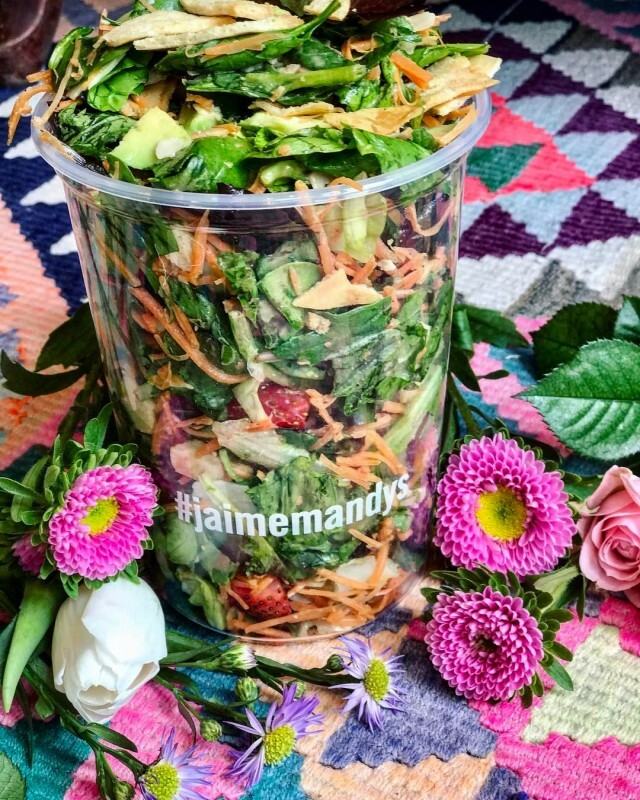 That’s right, you can get Mandy’s salad on wheels to enjoy in the park, at work, or anywhere really. 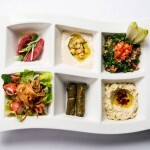 And don’t worry; you can enjoy your salad with the same freshness you get at the Mandy’s restaurants. Not only can you get a fresh salad, you can also get a tasty smoothie for that extra energy kick. For something sweet, Gaufrabec has you covered. An authentic recipe from the Belgian owner, these waffle are fluffy, light, and oh so delicious. Get a waffle with chocolate, strawberries, and all the sweet toppings you can think of. If you’re a purist, try the waffle on its own for that warm and simple taste. There was a time, not so long ago, when Montreal’s food truck industry was a non-existent one. 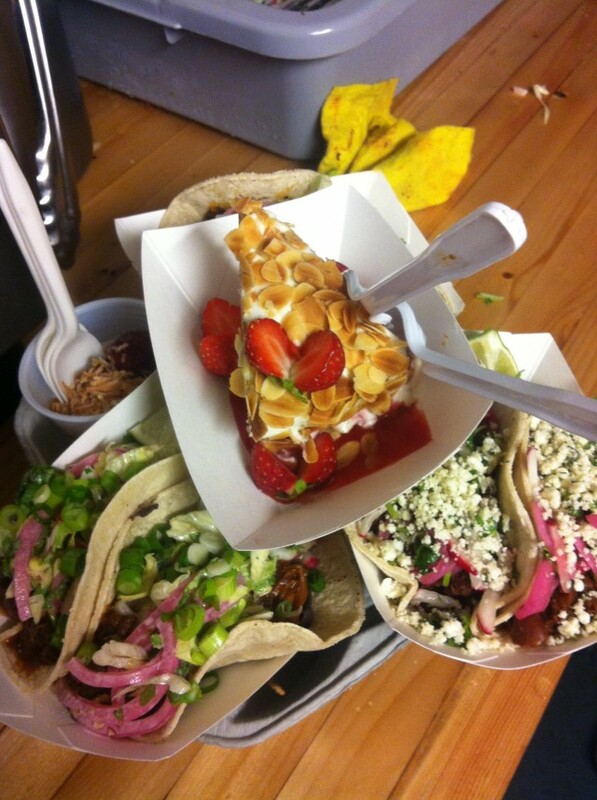 Mobile Grub was nothing more than a delicious dream on wheels & foodie Instagram pics were seriously stationary. Then came Grumman 78, with it’s bright lime green truck, trailblazing its way into the mobile food industry, serving mouth watering Mexican inspired tacos & a medley of southern styled food paired with unique ice teas served in clear plastic bags. 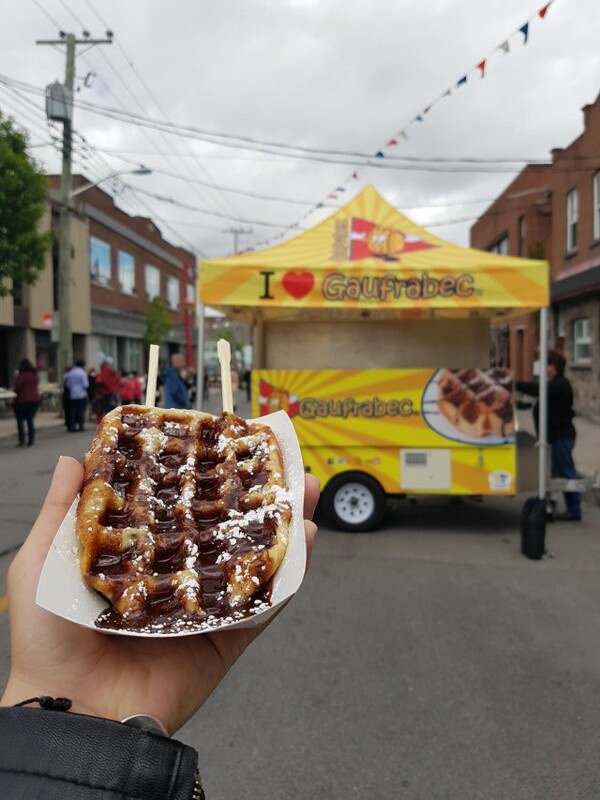 We can all give thanks to Grumman 78 for setting a new bar for the 514, because now eating food out of truck has become synonymous with Festival season, Piknik Electronic, Sundays on Mount Royal, & all things fun & awesome during the MTL summer season! A falafel food truck that offers fresh, comforting, delicious vegan food ON THE GO? Our plant based prayers have finally been answered with the delicious Green Panther food truck, also known as The mobile Panther. 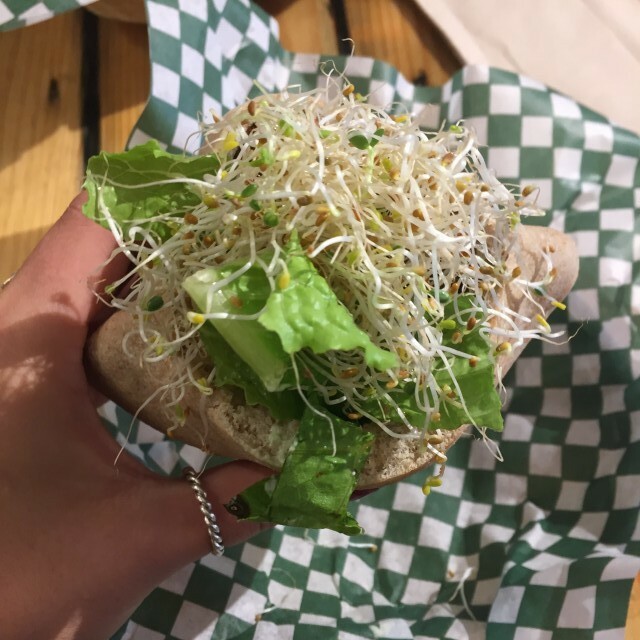 They have been revolutionizing the food service industry with their friendly service and organic vegan cuisine while being committed to developing a more sustainable way of living in today’s urban world. They strongly believe in keeping their ecological footprint as tiny as possible using organic, local produce & recycled materials. Not only are they keeping our planet happy & healthy, they make KILLER falafels, we mean they didn’t win best falafel in town for four years in row for nothing. 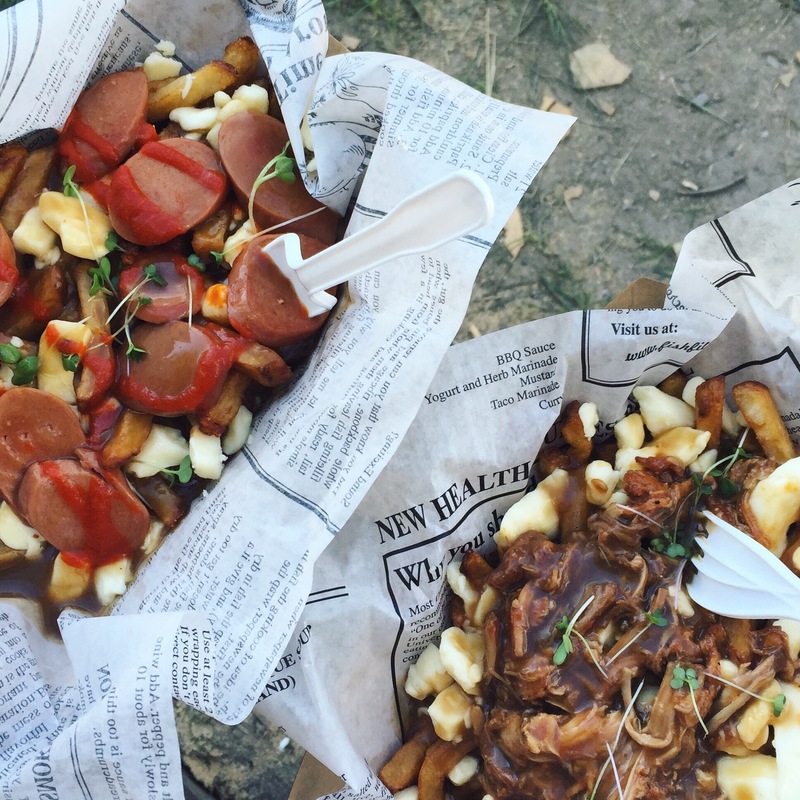 A Montreal staple that has made its way to the streets, the Dic Ann’s food truck is a must-try this summer. This food truck offers Dic Ann’s signature hamburgers and cheeseburgers, along with the classic fries and poutines that a burger joint would be incomplete without. 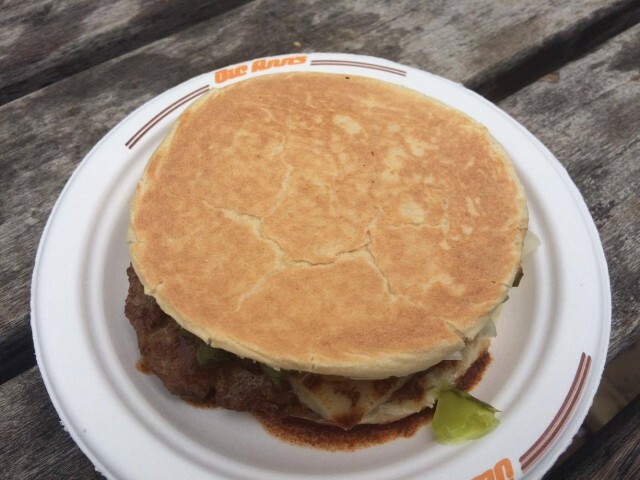 Dic Ann’s is known for their incredibly thin yet flavourful patties and buns. Order your burger all dressed to get it topped with mustard, relish, onions, and the famous Dic Ann’s sauce! Featured image by Dahlia Merlo (@dahllii).